(a) 1. After digesting antigen-bearing agents, a macrophage displays antigens on its surface. 2. Helper T cells become activated when they contact displayed antigens that fit their antigen receptors. 3. An activated helper T cell interacts with a B cell that has combined with an identical antigen and causes the B cell to proliferate. (b) Macrophages bind to lymphocytes. 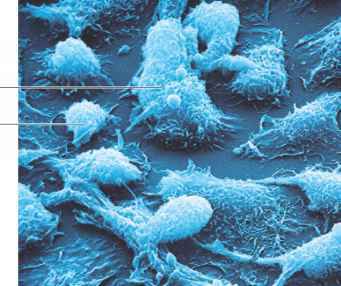 During an infection, macrophages bind to helper T cells, activating them to trigger other immune defenses. Here, the round cells are helper T cells and the cells bearing projections are macrophages (1,040x). 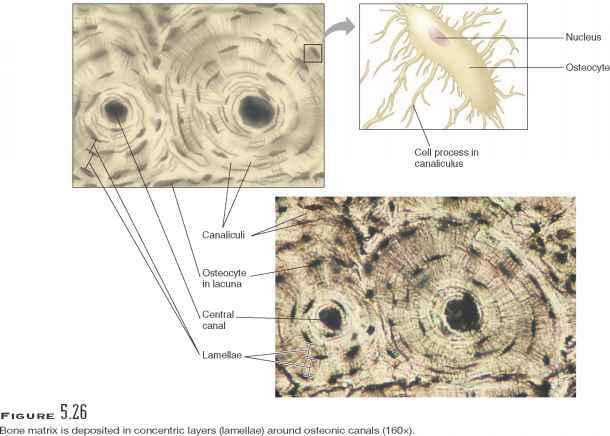 Physiology, Ninth Edition the proliferation. The daughter cells of the stimulated B cell mature into either plasma cells or memory cells. Plasma cells produce and secrete large globular proteins called antibodies, which are also called immunoglobulins (im"u-no-glob'u-linz). A plasma cell is an antibody factory, as evidenced by its characteristically huge Golgi apparatus. At the peak of an infection, a plasma cell may produce and secrete 2,000 antibody molecules a second! Body fluids carry antibodies, which then react in various ways to destroy specific antigens or antigen-bearing particles. This antibody-mediated immune response is called humoral immunity ("humoral" refers to fluid). When an activated helper T cell encounters a B cell that has already combined with an identical foreign antigen, the helper cell releases certain cytokines. These cy-tokines stimulate the B cell to proliferate, thus enlarging its clone of antibody-producing cells (figs. 16.18 and 16.19). T cells can also suppress antibody formation by releasing cytokines that inhibit B cell function. 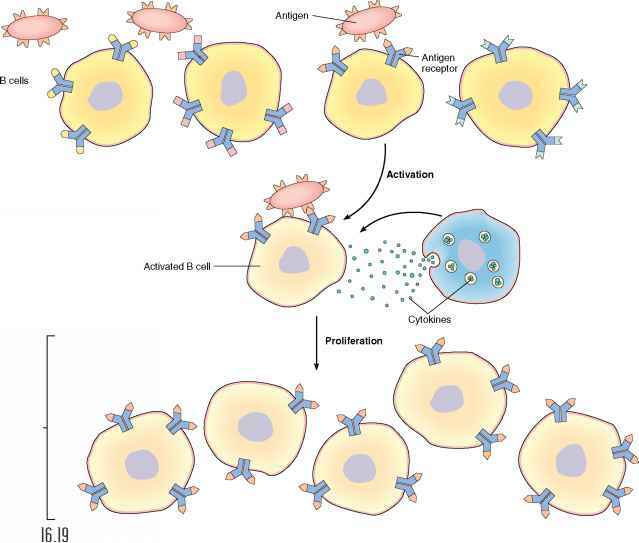 Some members of the activated B cell's clone differentiate further into plasma cells, which secrete antibodies similar in structure to the antigen-receptor molecules on the original B cell's surface. These antibodies can combine with the antigen-bearing agent that has invaded the body, and react against it. Table 16.5 summarizes the steps leading to antibody production as a result of B and T cell activities. When a B cell encounters an antigen that fits its antigen receptor, it becomes activated and proliferates, thus enlarging its clone. Note that all cells in the clone have the same antigen receptor.